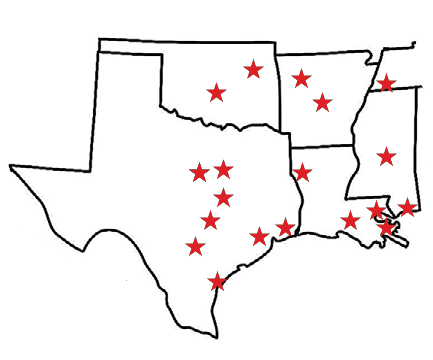 The NAWIC South Central Region has chapters in Texas, Oklahoma, Louisiana, Arkansas, Tennessee and Mississippi. To find out more about a chapter near you, click on the chapter name and you will be directed ​to the chapter website. Not in the South Central Region? NAWIC Chapters were each founded by strong groups of women. Each year, we celebrate the chapters on their founding dates. See the list below to see how long the her-story of each NAWIC chapter has been spreading the strength and knowledge to younger generations.